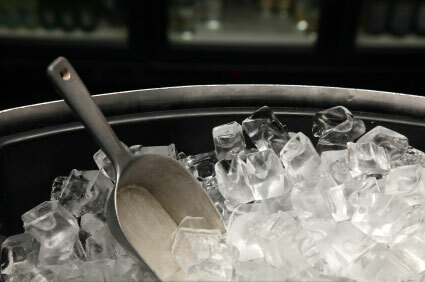 An ice machine is a major equipment purchase that nearly every food service business will need. The key to deciding on the particular type of commercial ice machine you will need is knowing what your ice usage needs are. If you own a bar, ice will be used mostly in beverages. If you own a restaurant, you may use ice in beverages, but you may also need ice for food display, such as in a salad bar. If you are in healthcare, you will need ice for patient care. What Capacity Ice Machine Do You Need? Using the chart below, you can determine that if you own a restaurant and you serve an average of 200 meals per day, you will need 1.5 lbs. of ice per meal. Simple multiplication will result in a total of 300 lbs of ice per day. Add 20% for extra production, which will help take into account any additional ice making needs, and your result will be 360 lbs. per day. You will then need to further calculate the times during the day that you will need the most ice, and the days of the week that you will need the most ice, to determine what size ice machine bin you will require. What Shape Ice Will Work Best for You? You will also need to choose the shape you want your ice machine to produce. The choices are cubed, nugget-shaped, or flaked. Your ice needs will usually require one type over another. Cubed ice is generally preferred for most bars and restaurants as well as for bagging ice. These cubes are the ones you are most familiar seeing in mixed drinks and other beverages. Cubed ice comes in different cube sizes: full, half and regular, and they cool the quickest and melt more slowly than other types of ice, which can cut down on consumer consumption. They are the most preferred for large-volume commercial applications, including bagging and bulk cooling. Nugget-shaped ice has gained in popularity over the years for it's highly chewable appeal. It also melts slowly and is the ice of choice for the health care industry. It is commonly found in fountain beverages, blended cocktails, smoothies and salad bars or cold food bars. Flaked-ice is also found in the healthcare industry, but perhaps is more popular for its food presentation qualities. These small, soft flakes of ice cool quickly and mold easily to any shape making them a requirement at buffets, fish and meat markets. They are also perfect in salad and cold food bars, where chilled food needs to be kept cold while being on display for customers. This type of ice also works well in blended drinks and smoothies. Once you’ve determined the shape and amount of ice you need, your next consideration is whether you want to purchase an air-cooled or water-cooled commercial ice machine. The most popular type of compressor is air-cooled, as they are the most energy efficient of the two. An air-cooled ice machine features a fan that circulates air around the refrigeration components to remove excess heat from the compressor and any other heat generating elements. One drawback to this method of cooling is that a small amount of warm air is circulated throughout the room where your ice machine is located. While the amount is small, it can cause problems that can be alleviated by using a remote air-cooled ice machine. In a remote unit, the condensing unit is connected away from the location of your ice machine and placed in an outside location to filter the outside air. A water-cooled ice machine works by circulating water around the refrigeration components in order to remove heat. These require more water than an air-cooled ice machine, as they cannot re-circulate the cool water back into the system and thus, water is wasted and dumped down a drain. However, while not energy efficient, water-cooled commercial ice machines are preferred by some food service businesses, under the following conditions: where the ambient air temperature is 80°F; in an area where the air contains a lot of contaminants, such as grease; or in an area with poor air circulation or limited space. Since water-cooled machines require a lot of water for cooling, they are generally not recommended unless no other option is available. You will need an ice machine bin to go along with your ice machine. An ice machine bin will hold ice after it is produced until it is ready to be used. The size of your bin doesn't necessarily need to correspond exactly with the amount of ice your unit produces. You will need to figure out how much ice you need to use at your peak times and and then size the ice bin to meet those requirements. An ice machine water filter is highly recommended for anyone purchasing a commercial ice machine. Placing a water filter on the intake pipe for your commercial ice maker protects the purity of the ice by removing contaminants. It also helps extend the life of the machine itself, especially in areas with hard water where impurities that flow through the ice maker calcify inside the mechanism, often forcing you to pay for more service calls due to wear on the machine. Many companies will extend their warranties if you purchase their water filteration cartridges, as they know that this will help your machine last longer and run more efficiently. When purchasing a commercial ice machine, there are a number of accessories that you will need. Among them are ice totes, ice scoops and ice caddies. These accessories will help you transport and distribute ice as required. Your commercial ice machine will be a crucial piece of restaurant equipment for your business. Especially during hot summer months, it will prove to be an invaluable piece of equipment for keeping beverages cold and food safe and customers pleased. Choose wisely and care for your machinery well and it will last for years in your food service business.